Having to make the decision to end your pet's life is a difficult one, and it rarely has a clear-cut answer. Focusing on ways to evaluate your pet's "quality of life" can help you make a decision that that won't be filled with regret and guilt. It is an intensely personal decision to euthanize ("put to sleep") a beloved pet due to injury, old age, or disease. People often wonder if they will know when it is "time", and many ask their veterinarian "what would you do if it were your pet?" A veterinarian can't make the final decision for any pet owner. Instead, a vet will focus on explaining the medical issues and facts so the owner will have the knowledge to help make an informed decision. This may include discussing the possible outcomes of terminal disease or conditions so the owners know what to expect and watch out for. Even so, the answer is not always obvious. It is probably "time" when the bad days begin to outnumber the good ones. Pet owners usually have an idea of what is 'good' and 'bad' in the life of their pet. Chart these times over a week or a month to help you see what your pet is experiencing. Does your pet soil itself during the day? This can really be a stressor for some pets who prefer to be clean, and it can also pose health risks such as skin rashes and infections from sitting in urine and/or feces. These things will further reduce the quality of life. Does your pet still enjoy basic activities such as eating? Is the pet's appetite normal? Does your pet enjoy human interaction? Is the pet still able to recognize who you are? Familiarizing yourself with the process of euthanasia and what to expect beforehand may help lessen the stress and anxiety of the actual event. Do not be afraid to ask your veterinarian beforehand about the procedure or any other questions that you may have. This is an emotionally charged time, and living with unanswered questions or guilt can hinder the healing process. Ask questions such as whether you can be present with your pet, how long the procedure will take, and your choices for the final disposition of your pet's body. In addition to understanding these things yourself, you should discuss them with all of your family members. Get their advice on what you should do and what would make them feel the best about the process. For example, you may not want to accompany your pet to the procedure but your spouse or an older child may feel the need to be there. 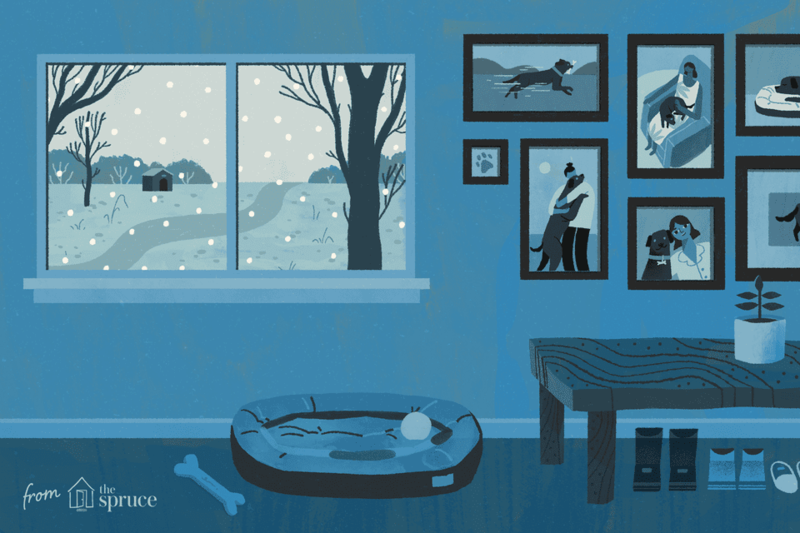 After the loss of your pet, you may need resources for coping with loss and grief. This is natural and you may want to plan ahead for this emotional time.